Recommendations: Take 1 capsule twice daily, preferably with food. 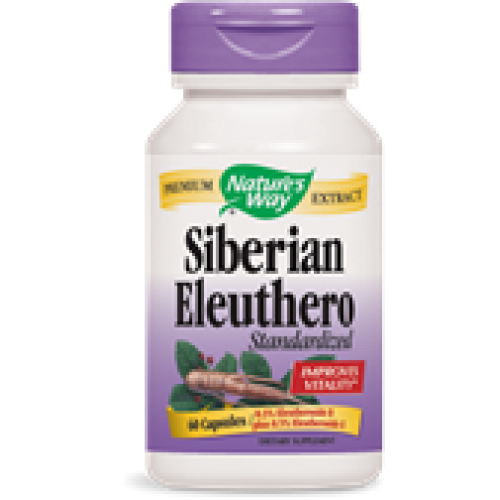 Siberian Eleuthero Extract is Standardized to two actives: 0.2% eleutheroside B and 0.5% eleutheroside E to improve mental physical vitakity, as well as help the body adapt to stress. Athletes find it useful for strenuous excercise recovery. 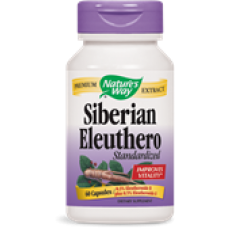 Some sources suggest Eleuthero should be taken continuously for 6 to 8 weeks, followed by a 1 to 2 week break before resuming.